As nostalgic as we are, the 1990's do not classify under "vintage," just yet... but there is no reason why we cannot take a look back at a true classic, Amy Heckerling's Clueless. If you are not familiar, add it to your queue of films, consider it an introductory course to fashion and American culture. I have a feeling, however, that if you are reading this blog, you are quite familiar with the film, as we often quote it. Either way, this is a good time to remind you of the "very important designer" (Azzedine) Alaia, and the power of the little Calvin Klein dress (or lack of it). Yes, they are that important. The drama of having nothing to wear. And a star is born, Alicia Silverstone. 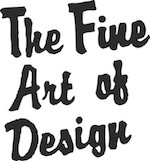 You are currently reading ICON: Clueless at THE FINE ART OF DESIGN.